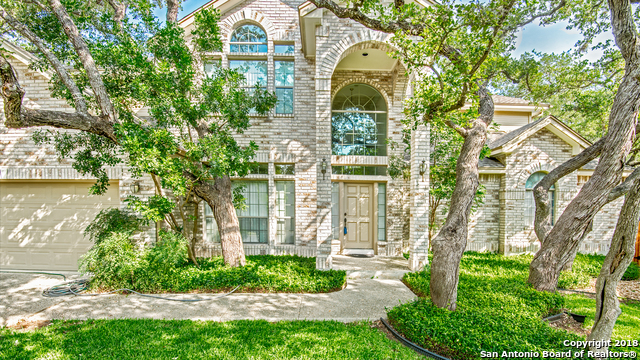 All GEORGIAN OAKS homes currently listed for sale in San Antonio as of 04/24/2019 are shown below. You can change the search criteria at any time by pressing the 'Change Search' button below. "Temporary off market. Will resume showings Mid April. 4 bedroom, 3 & 1/2 bath, large gameroom,located in Shavano Park area, Matures trees, Cul-d-sac, , No HOA. Features In-ground Pool, bonus game room, master down. Lots of Storage. Roof, eaves, gutter, siding replaced 2018, Pool deck replaced 2017 and balcony replaced with Aeratis decking best quality paint level. A/C replaced 2017. Fence 2017, House has been well cared for, gently lived in. Quiet neighborhood, parks & greenway w/in walking"